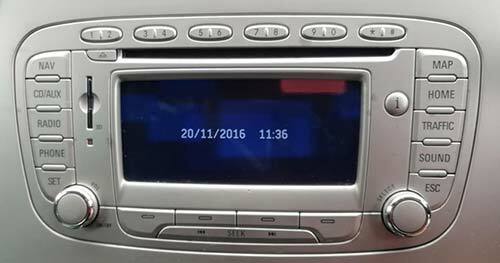 Showing your Ford C-Max radio serial code on the radios display. 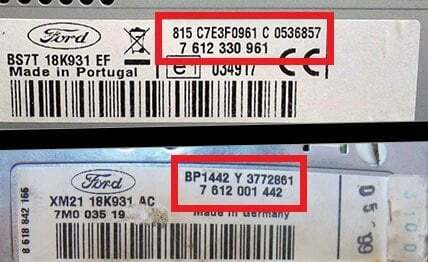 How to Find Your Ford C-Max Radio Code Serial Number on the Label. 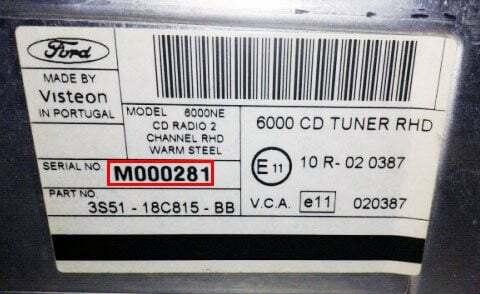 Step 2 - How To Find Your Ford C-Max Radio Serial. 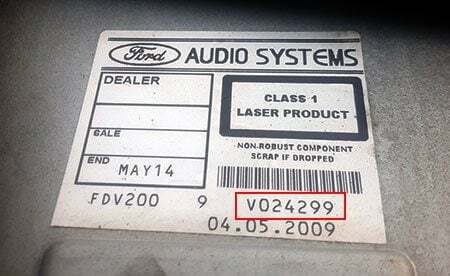 The Ford radio serial starts with V/M/BP/C7 for example V123456. The TravelPilot models are a longer serial number. An example of this would be C73F0961 C 0536857. 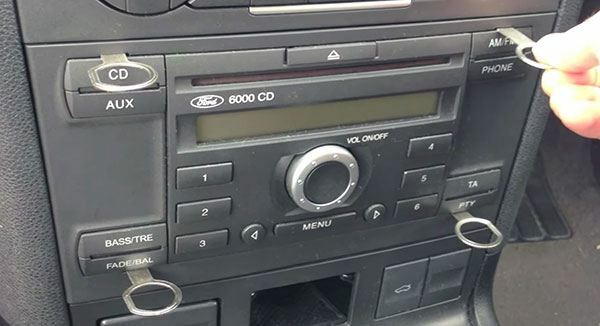 If your radio is a TravelPilot, please see our Ford TravelPilot page. Please see images below for reference. Press button 1 until the correct first digit of the code is displayed. Press button 2 until the correct second digit of the code is displayed. Press button 3 until the correct third digit of the code is displayed. Press button 4 until the correct fourth digit of the code is displayed. 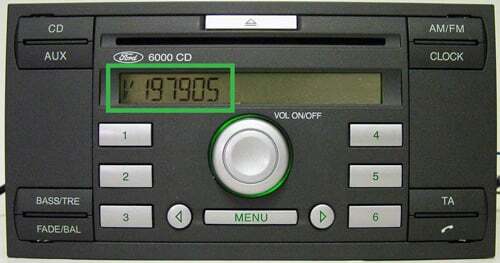 If LOCK10 appears after entering 10 incorrect codes, press and hold the number 6 button while turning on the radio to change from LOCK10 back to CODE. You then have 3 further attempts at the code before LOCK13 appears. If LOCK13 appears then you will need to take the radio to a Ford Dealer or radio specialist to be unlocked. * Free Ford C-Max Radio Code Entry instructions will also be sent after purchase.